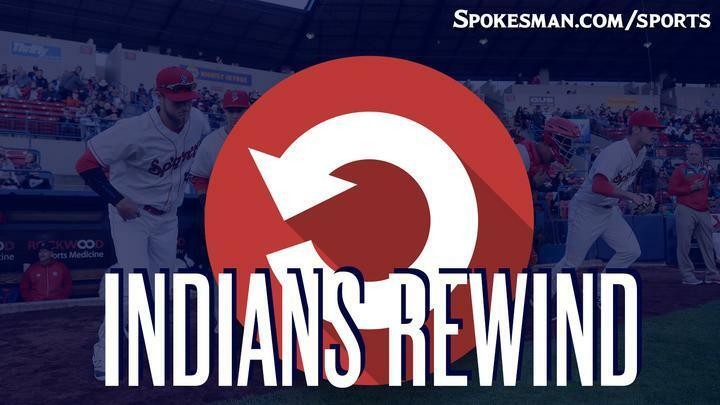 Curtis Terry hit a two-run home run as part of a four-run eighth-inning rally and the Spokane Indians (5-7) came back to beat the visiting Everett AquaSox (7-5) on Tuesday. It was the Indians third win in a row and Everett’s second-straight loss. The big play: Terry’s homer made the difference, but Martinez’ homer to lead off the eighth was the catalyst. Martinez entered the game 4 for 32 so far this season. The Good: Diosbel Arias went 3 for 3 with three doubles and two runs. His average is up to .390. “I’m very thankful for my teammates and the fans too of how engaged they are and how excited they are,” Arias said through a translator. His manager praised his defensive flexibility to be able to keep in the lineup every day. “The versatility to be able to play third, short and second – he’s putting together a nice package of complete baseball player and he shows up every day and finds the barrel at the plate,” Holmberg said. Arias is just happy Holmberg keeps penciling him in. Special mention: Scott Engler. Did yeoman’s work handling the last four innings of the game with no hits and one walk, striking out three. Holmberg mentioned we could see Engler in the starting rotation pretty soon as he continues his comeback from missing all of 2017 due to injury. The Bad: The only hitter without a hit was catcher Scott Kapers, who just joined the team on Tuesday. The Ugly: Starter Warner Leal was roughed up again, allowing four runs on six hits over four innings. There were some bright spots: He didn’t issue a walk and struck out five. But in two starts for the Indians he’s given up seven runs over six innings (10.50 ERA) and overall between three levels this season he’s 1-3 with a 5.85 ERA. The Takeaway: Give the club some credit for the comeback. These kind of wins can be galvanizing for a team, regardless what level they are playing. Holmberg likes what he’s seeing. Next Game: Indians vs. Everett on Wednesday at 6:30 p.m. at Avista Stadium. Published: June 27, 2018, 11:55 a.m.